I am going to help you with my action plan. You can create your own success by focussing on the right things. But sometimes we need help, a friendly push in order to take the next step. That friendly push is what my action plan provides: the BIZZ Road Map, based on practical Buddhist principles. The action plan that I use myself and which made me aware that I can work differently: smarter. With this action plan you will be working concretely, in 10 steps, on the growth of your business: using your mind-set and personal values as the foundation of your business. If you are not clear on this, earning money will be difficult. The 10 steps teach you how to look at your business from another perspective, and earn more money, by working smarter. Working smarter by using your talents and following your passion to help more clients. Based on your personal values, creating more value for your clients. So that your clients happily pay your fees. You work smarter knowing what to do, by taking the right steps to reach your goals. You will be giving thought to many aspects of your business, from determining your ideal client and products to considering another revenue model and strategic partners. It is all about focus: doing the right things at the right time, step by step. Buddhism is ACTION and should be effectively used in your daily life. By tapping into your own strength you can work effectively on your business model and your goals. Without action, no change! 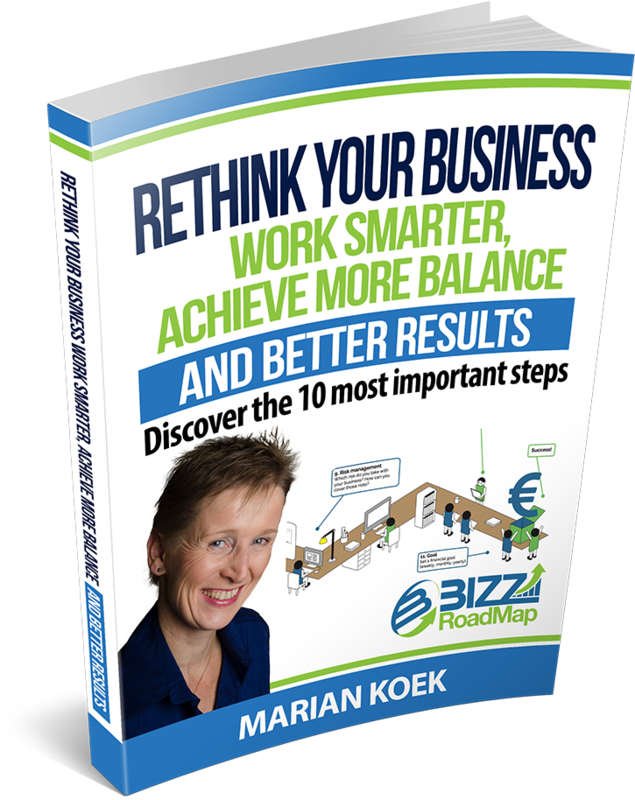 So, download my ebook “Rethink your business” now and start right away to implement the 10 steps into your business!